A mostly grey and windy few days are forecast for Sussex, generally dry and mild, with a few rainy spells. Fog and mist are expected on Monday in parts of East Sussex, around Brighton and Heathfield, with overcast skies across the county brightening towards the end of the day. 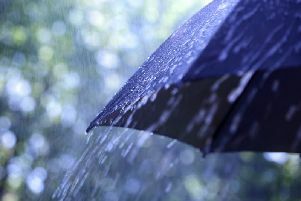 Grey skies on Tuesday are expected to go much the other way, with heavy early morning downpours forecast around Horsham and East Grinstead. The clouds are likely to stay throughout Tuesday and Wednesday, mostly dry with a few showers around the south coast on Wednesday afternoon. Stronger winds towards mid-week are likely to chill the mostly mild temperatures of 10 to 12 degrees, but there are some signs of sun set for Friday afternoon.